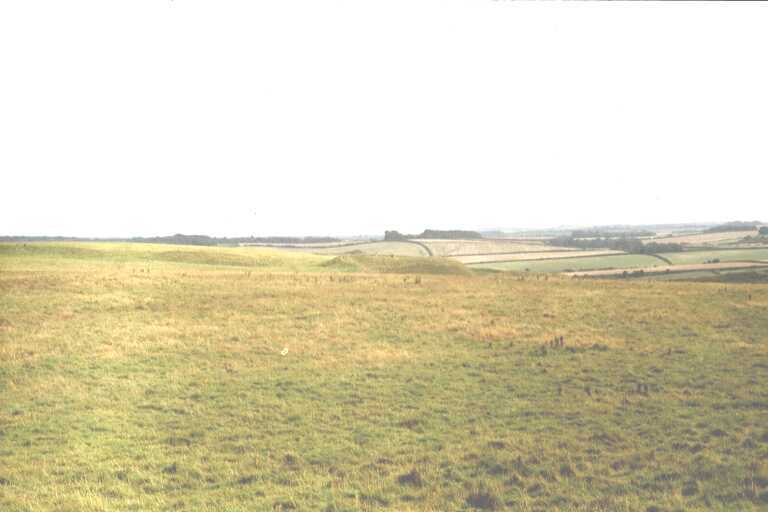 Maiden Castle is a very large hill-fort, also containing a Neolithic long barrow, and the remains of a Romano-British temple. The hill on which it stands was first selected for habitation by a group of early Neolithic farmers who built a causewayed camp on the E end of the current site, enclosing about 10 acres, in around 4000BC. 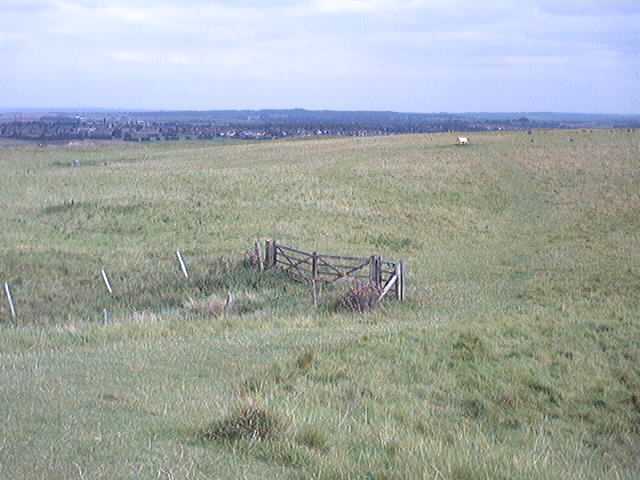 Some time later, maybe centuries, a long barrow of unusual length and shape was erected along the top of the hill, running East - West, with a length of almost 1800 feet. No sign of the barrow can be seen on the site now, but excavation has shown that its quarry ditches were about 65 feet apart, and would have enclosed a very substantial mound. 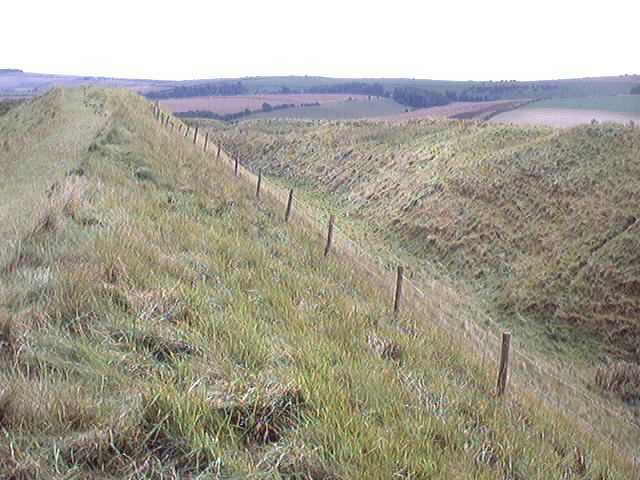 The Iron Age development began around 700BC, with ramparts enclosing 16 acres at the eastern end of the hill. The whole hill was fortified about 200 years later, increasing the area enclosed to about 47 acres. 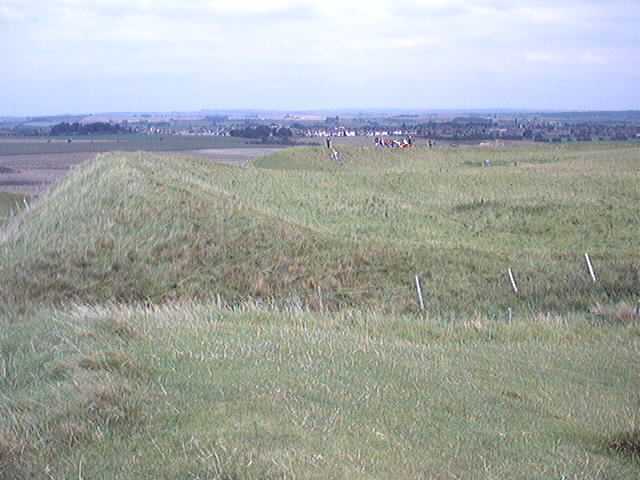 Within the earthworks, a large population lived permanently in wood and stone huts, connected by roughly metalled tracks. Pits for storage, and for disposal of rubbish, were dug everywhere. 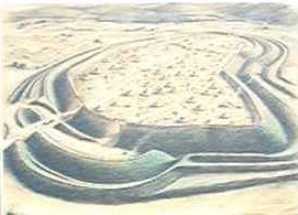 Migrants from France rebuilt the site in around 200BC, adding to the height of the ramparts with timber and limestone. The defences continued to evolve, reaching their present form about a hundred years later. 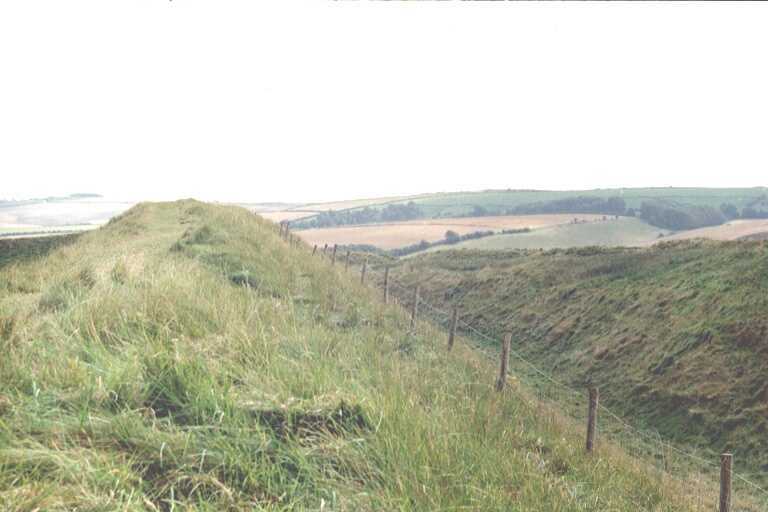 The last pre-Roman period of occupation began around 25BC, when the defences, which had again fallen into decay, were repaired and the interior of the site cleaned up. The occupants were by that time using wheel-thrown pottery, together with some Roman pots obtained by trade, and were casting their own coins. 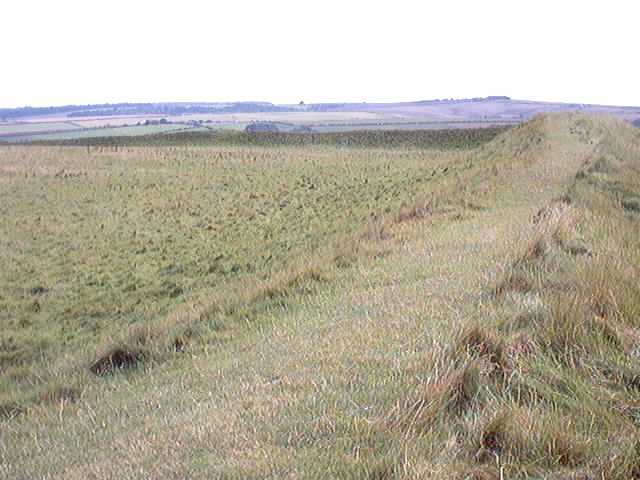 Maiden Castle was finally stormed and sacked between 43 and 44AD, by Vespasian's legion in the course of its westward advance. A cemetery containing the bodies of the inhabitants slain in the fight was later discovered immediately outside the eastern entrance. 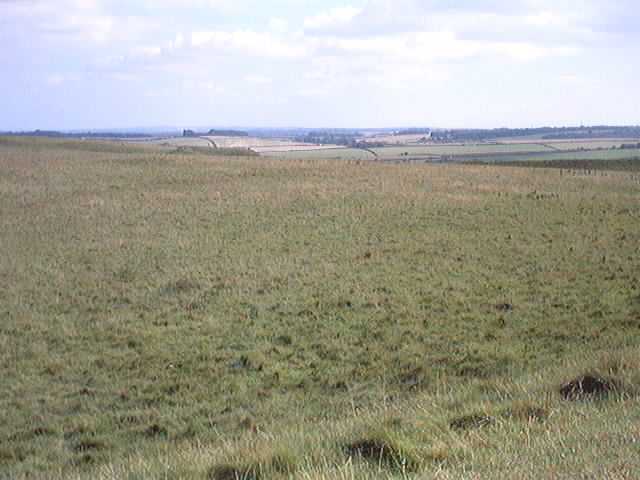 In the Romano-British period the local population was shifted into the valley, and the area inside the earthworks came under the plough. 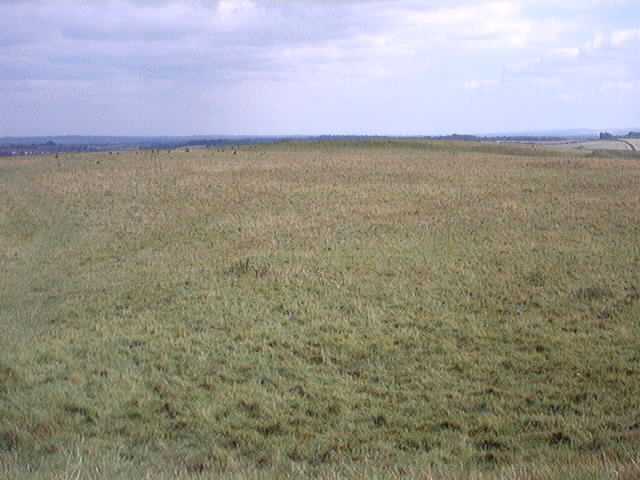 As a result, between 47 and 350AD the Neolithic long mound was almost completely levelled. A temple was built at the eastern end of the site between 350 and 370AD. Among the fragments representing a variety of cult objects found there, were a three-horned bull and figures of Diana and Minerva.